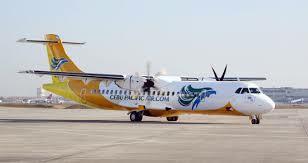 Cebu Pacific is now having night flights from Cagayan de Oro to Cebu. Every Tuesday, Thursday and Saturday, Flight 5J-208 departs from CDO to Cebu at 6:00pm. Also, effective May 14, 2009, 8:20pm flight to Cebu will be available. On Mondays, Wednesdays, Fridays and Sundays, last flight departs Cagayan de Oro at 7:50pm. Last returning flight available from Cebu will be at 6:40pm during Mondays, Wednesdays, Fridays and Sundays. I believe the new flights is Cebu Pacific’s answer to the demand of the increasing number of passengers plying the CDO-Cebu route.